New website for freelance design work. Home page of our new web site. 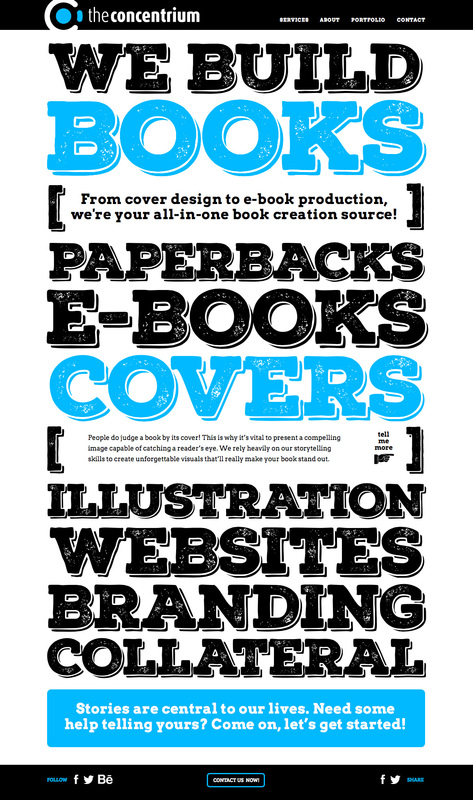 Since we were designing books for ourselves, it seemed like a natural fit to specialize. When clicked, each category moves down to reveal a short blurb so the reader can get an overview. 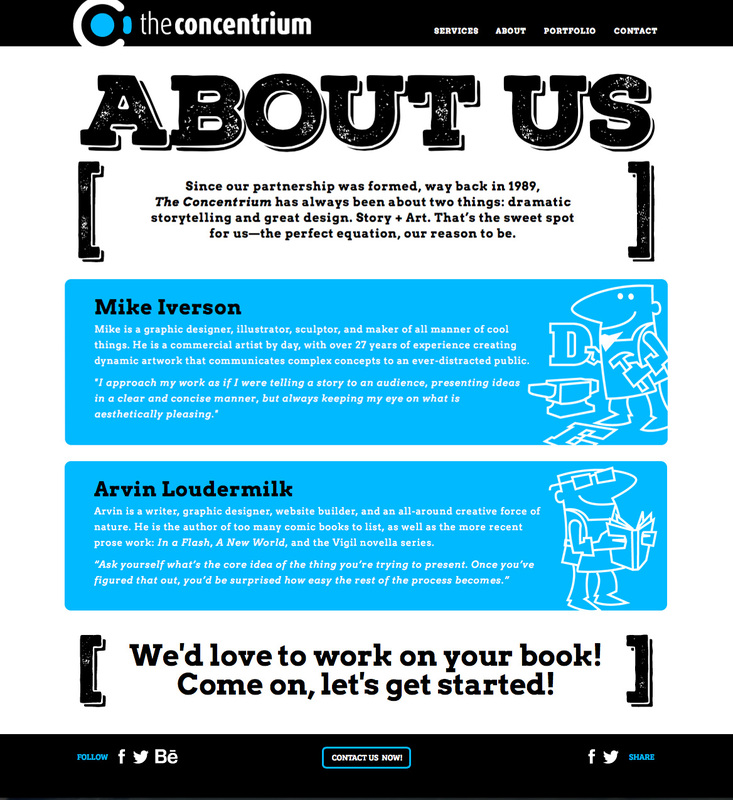 Short bios on the "About" page with custom portraits.